Lucy Woolfman is an English born, Australian based make-up artist trained in TV, Film, Theatre, Special FX, Prosthetics, and Photographic Make-Up as well as Airbrushing and Hair. 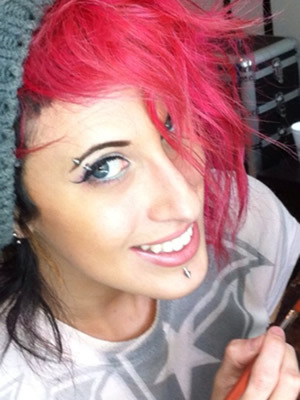 She has been working in the industry for over 13 years and specialises in Prosthetics and SFX for Film and Television. Lucy’s passion and dedication to her industry has seen her work on an array of productions including but not limited to Gods of Egypt, Terminus, Shambhala, Dumb Criminals, Home and Away, Deep Water, White Rabbit Project, Deadly Women, Behind Mansion Walls, Dark Minds, Facing Evil and many more. Her advertising clients include AAMI, Office Works, BWS, Big W, Woolworths, Optus, Foxtel, Nikon, Kodak, Milo, Sony Music to name a few. Lucy’s outgoing and enthusiastic nature and her positive and professional attitude has led to her being sought after for international projects working in London, Australia, New Orleans, Los Angeles and India.